Boy, it’s been cold up on Joburg lately! And as much as we may all be longing for warmer nights and sunnier days, unfortunately we don’t control the weather. And so we must find other things to comfort and warm us up. And a good bowl of soup is one of those things. 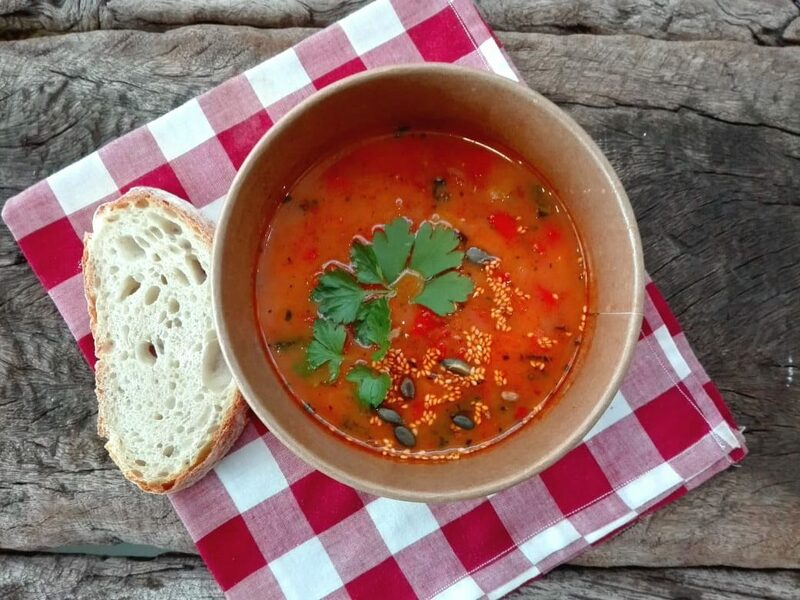 From a classic tomato soup, to more creative soups like apple & turnip, or cauliflower & brazil nut, there’s so many flavours and combinations to choose from. Here’s 3 pretty good reasons to enjoy a hearty bowl of soup this winter. A good bowl of soup not only warms you up, but it’s also good for the soul! Comfort food does not only have to be unhealthy food, and when you’re craving something comforting, a tasty bowl of soup will usually do the trick. Research suggests that what makes a food comforting, is that we associate it with feelings of belonging and relationships. For us, soup makes us think of family, making it the ideal comfort food. Why not up the ante, with some exciting sides and toppings. From grilled cheese toasties, to crispy bacon, fried halloumi and fresh feta, there are so many ways to make your bowl of soup seem more of an occasion. And this is a great way to involve the family, get them to help with making their favourite soup toppings. We told you we’d warm you up! A bowl of soup is soup-er nutritious! Vegetable based soups really help you pack in the extra nutrients, and get a few servings of veg at one meal. It’s also a great way to get your family to eat more veggies, and can help with those fussy eaters, by disguising some of the veg culprits. By being creative with seasonal veggies, you can also help your family get a wide variety of nutrients. We all love a good tomato soup, but be a little more adventurous! Leek, sweet potato and fennel go really well together, or pumpkin, carrot & ginger. The more veggies, the merrier! Also, some veggies can actually benefit from a little cooking, which makes important nutrients, like lycopene in tomatoes, more readily available to our bodies. And cooking a soup low and slow, can help to preserve nutrients in the veggies, when compared to pan-frying, which can be more destructive. Soups are not only quick and easy to make (one pot, hello! ), but they also tend to be easier on your wallet. Buying veg in bulk will save you money, and making bigger batches of soup means you’ll have leftovers to freeze or take for lunch the next day. Good for your health, and your soul, we think it’s time to get a pot of soup cooking. Why not try this Thai butternut & sweet potato soup from Wooden Spoon Kitchen, or this Jamie Oliver Veg & Bean soup.